A long time has gone since I updated my page. I`ve played around 40 concerts since last time. The most of them deserve a separate post here but as time went by I have to wrap everything up in a nice packet. I`ve been on a mini tour in Sweden to relesase the beautiful cd cycles with Hans Nyman & Peter Nilsson. They also came to me in Barcelona where we did a release concert and a recording with Agustí Fernández. I´ve been in Portugal, playing with my great friend Albert Cirera. I´ve brought my group Neo to Catalonya to do three concerts amoung one of them at the Jazzfestival at Igualada. The duo recording that I´ve did with Agustí Fernández last year in January is finally mixed and mastered. I´ve been doing some more recordings with my friends from discordian records, and I finally recorded my first solo recording. And I´m about to start to listen to it right now; I´m nervous!! 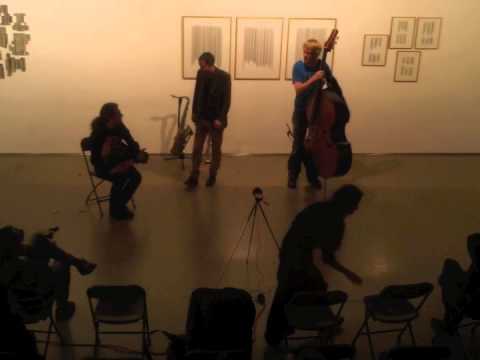 Below is a link to a beautiful concert that I´ve did together with Tom Chant – saxophone and Marc Egea – Hurdy Gurdy. A presentation video from the duo concert with Nùria Andorrà 05/05-2014 at Antic teatre, Barcelona. We played music by Two swedish composers, Henrik Denerin & Stefan Pöntinen as well as a long improvisation.